There are no words to say. Look I try my best to keep any and all bias away from my writing. I just simply cannot do it here. As I take a second to reflect on my retort, I will let Stephen A. Smith handle my current emotion. Look folks, I get it. Henrik Lundqvist is not for everyone. He has never won a Vezina Trophy. Never carried his team to a Eastern Conference Championship. 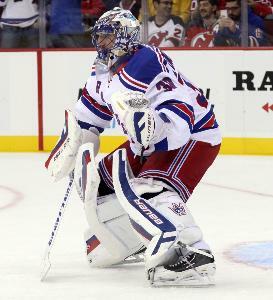 Henrik Lundqvist is not the most attractive human being on the face of this earth. *Checks notes* Oh wait, all of those statements were false. Quick look at the facts (stats). Oh so you mean a .922 save percentage and a 2.28 goals against average is not good? Apparently so. Fact of the matter is that it doesn't matter where your fandom lies, Henrik Lundqvist is a bona fide first ballot Hall of Famer, guaranteed.